A full virtual body follows your natural motion giving you an unprecedented sense of presence. 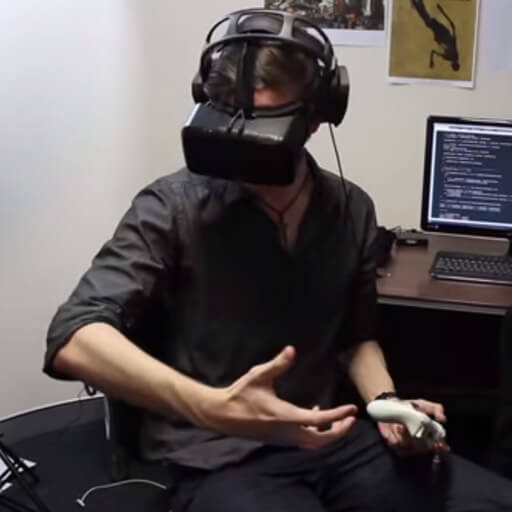 A virtual tablet intervace in VR prevents players from being pulled from immersion. As one of two full-time developers working on this game I performed many roles including character/environment animation, game design, C# unity programming/optimisation, environment design, lighting/materials, character rigging and animation systems/dynamic IK design. Due to the lack of VR availability at the time of launch, the campaign did not recieve the required funds to continue developement.